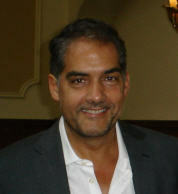 Born in Edinburgh in 1956, Philip Kerr is the author of more than 20 books, including seven Bernie Gunther novels, several standalone thrillers, and under the pen name of P.B. Kerr, six books in the young-adult series Children of the Lamp. His Bernie Gunther novels are not only about suspense, but also confront controversial social issues. 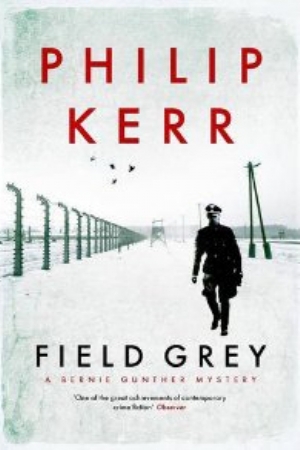 Kerr has won both the 2009 British Crime Writers’ Association Ellis Peters Historical Fiction Award and Spain’s RBA International Prize for Crime Writing for his Bernie Gunther tales. I caught up with him recently in Toronto, where he was promoting his latest Gunther book, Field Grey. You’ve piqued my curiousity, Philip: at university you read Law and Philosophy, and then worked for a period of time as an advertising copywriter. What prompted you to make the significant leap to writing crime novels? I’ve always wanted to be a writer. After university I did post-graduate work in German philosophy. I had read some Chandler and James Bond, but I didn’t set out to write crime fiction as such. I became a copywriter because I was looking for an occupation that would give me the necessary free time to write, although it wasn’t easy at first. I read a lot, of course; right now I’m re-reading The Great Gatsby, surely one of the great works in American literature; but I don’t read crime fiction, because I don’t want other writer’s styles to affect my own writing. You’re returning to Bernie Gunther after a hiatus of some sixteen years. Why did you leave the series, and why return to it now? Admittedly, that doesn’t always work out, but my Berlin Noir trilogy was still selling very well, particularly in America, and my editors at Penguin didn’t have a problem with it and were in fact very supportive. The intervening period gave me a bit of detachment and perspective on Bernie that I wanted to explore, and I think Bernie is the better for it. In your seventh Gunther novel, Field Gray, Bernie himself raises issues of guilt and responsibility with German military officers (at considerable risk to himself) and also in interrogations conducted by American lawyers acting for the War Crimes Tribunal. Have you worked these issues out for yourself, and do you get letters from readers taking issue with what you say in your books? I have worked out my own thoughts. I haven’t had any letters so far, but I wouldn’t be surprised to get some. It seems to me that America often applies standards to other nations that they don’t always follow themselves, for example in the area of human rights. I think of myself as a friend of America, and one is honest with their friends, aren’t they? Field Gray is a structurally complex, ambitious work with a first-person point of view and multiple flashbacks spanning three decades. Was it a particular challenge writing it? Did you write about each place and period separately, then divide them for the book, or did you write the text as it appears, moving back and forth in time? I wrote it much as it appears in the book. I don’t make copious notes, but I keep things very largely in my head. I think that’s the job of a writer: to form a clear picture of where they want to go, and then take the reader along with them. You’ve been called the thinking person’s crime writer, and it’s certainly true that readers would be hard put to find another author who quotes Goethe, Hegel, and Schopenhauer in a single work. Do you regard your novels as essays in dramatic form? Well, the great writers have always done that, haven’t they? Look at Middlemarch, for example, or Crime and Punishment: both are commentaries on the social history of their day. I certainly don’t regard myself as another George Eliot or Dostoevsky, but it seems to me that a good piece of writing necessarily addresses large issues. So you don’t buy into the distinction between genre fiction, which is seen as shallow and thus an easy read, and literary fiction, which may be more challenging and has more gravitas, and is therefore more worthwhile? No. It seems to me that genre labels are applied by publishers and editors and others looking to market books. The bookseller, for example, is faced with deciding which section of the store to place a book, where perhaps it will receive more public attention. But there is only good writing and less good writing. In addition to the Bernie Gunther series, you’ve written an impressive and wide-ranging series of standalone thrillers that go both backward and forward in time (Esau, Dark Matter, The Second Angel). What are the attractions of each approach? They both certainly have their appeal for me. Standalones allow me to take a fresh approach, with new characters and a new plotline. The Gunther series permits me to develop some of the backstories from earlier novels. I must admit that I’m a story-driven person: an idea forms in my mind, and it might be quite different from anything I’ve done so far, but I’m compelled to explore it. So where do you go from here? What can your readers look forward to? My next novel is titled Prague Fatale, and it’s set in Czechoslovakia in October of 1941, and yes, it’s another Bernie Gunther story, which will give readers more about his experiences during the war.